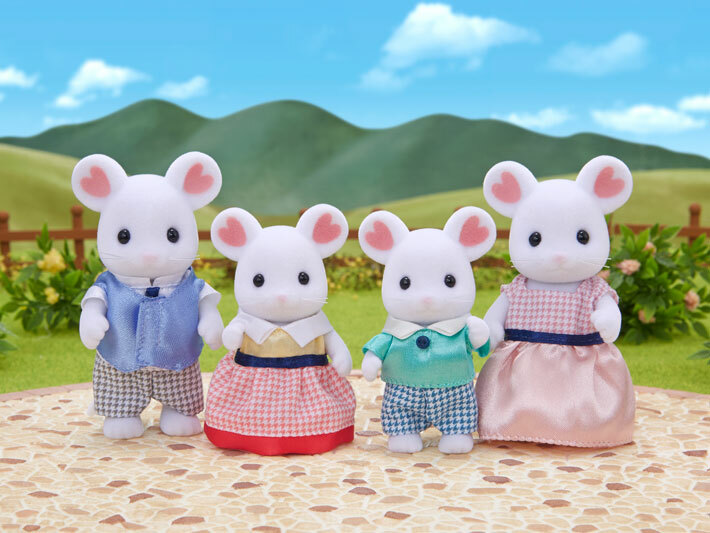 Meet the Marshmallow Mouse Family, pack includes Father Bernard, Mother Bianca, Brother Christoper and Sister Katherine Marshmallow. Bernard the Marshmallow Mouse father isn't very good with details, but he loves making delicious food, especially cheese. He's very proud of his homemade cheese collection and loves to cook yummy meals for his family with it. 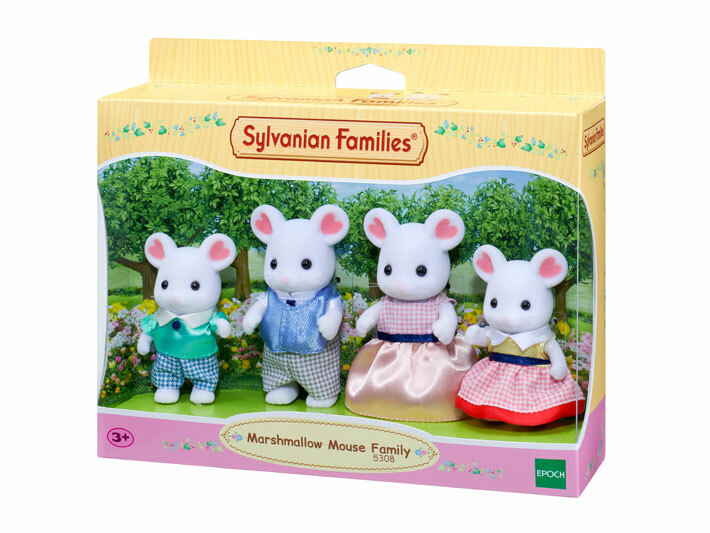 Bianca the Marshmallow Mouse mother is very quick-witted. She's good at making keeping everything running smoothly, and often has to help Benard the Marshmallow Mouse father out! She's also good at taking care of her energetic children, and is someone they can rely on. She loves to make homemade foods with Benard, and her original recipes are very popular among the other mothers. 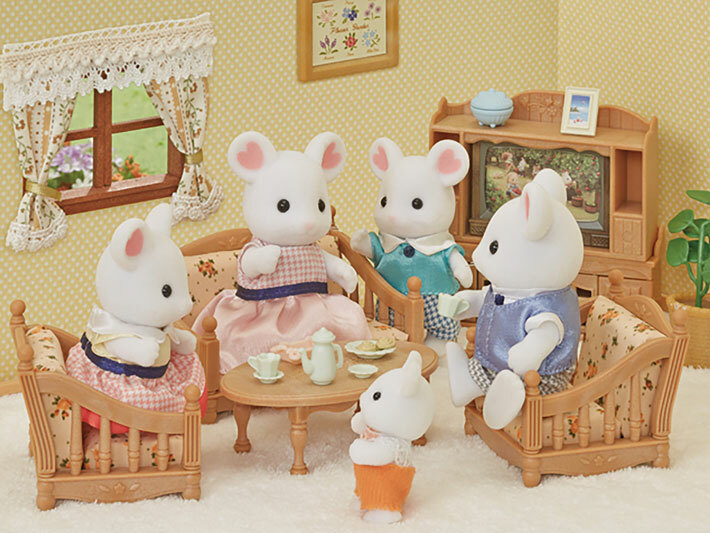 Christopher the Marshmallow Mouse boy has a very good memory, although he's not so good at maths. He's very precise and can remember everything about things that have happened. And he's a hard worker too! His one bad habit is that once he starts talking, he can't stop! Sometimes his sister Katherine gets annoyed about that, but they always make up in the end. 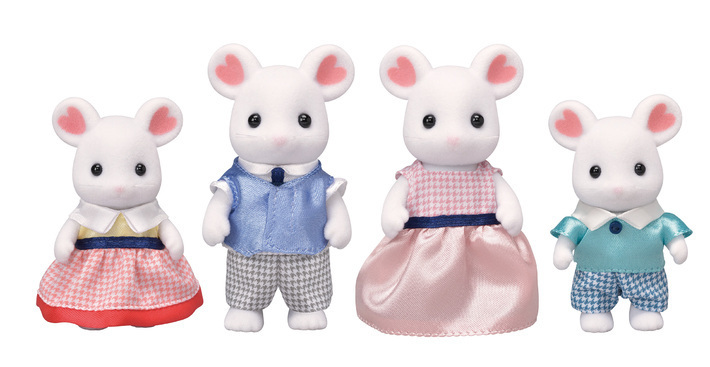 Katherine the Marshmallow Mouse girl is very good at maths but she's a bit forgetful. She's always saying "Oh, I forgot about that!" But she's not too worried - her brother Christopher remembers everything, so she can always ask him! She loves to spend time with Christopher and the triplets, playing games and singing sing-a-longs.